Several OBD devices are available to help track your car and its performance. Some let you talk with a mechanic or operator if your car breaks down. Many of these new connected devices are very good at what they do — but we recently came across a new device with what we think offers a unique level of security for your car. 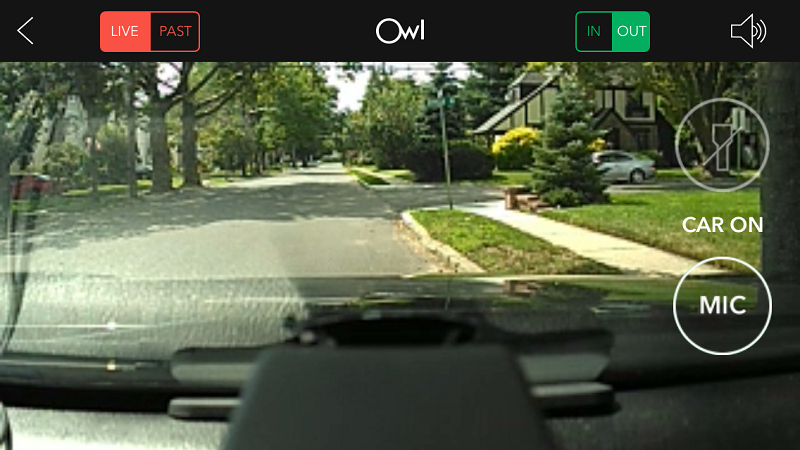 Called Owl Car Cam, we recently tested the device to see how it performed. What is Owl Car Cam? Owl Car Cam is a new connected security device that looks like a dashcam but secures your car — both inside and out, even when it's parked. An HD camera lets you open a live view, as well as talk with the person in the car. Owl Car Cam reminds me of GM's OnStar system but the person at the other end of the line — outside of the — can see me, even if I can't see them. You connect through AT&T;'s 4G network, but if the camera loses the AT&T; signal while you are driving, certain Owl services, like video transfers, will not work. When you come back on the network, though, these are restored. 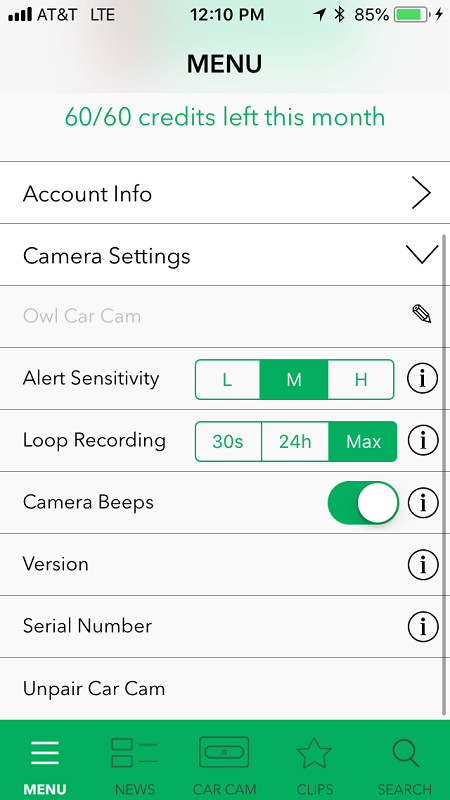 Note that only five devices can access the Owl Car Cam through the app — just something to keep in mind if you have more than five drivers who are sharing the vehicle. In total, the device has two microphones, an LCD touch screen, two cameras, two white LEDs, light beacon and speaker. There is also an active cooling fan vent to help prevent the camera from overheating, but the camera will shut off automatically after 24 hours or senses low voltage. The camera connects to the OBD port via a supplied cable, and is then mounted on an extension beam with a suction cup. These beams have a low-profile design, which means your view of the road isn't obscured — and you get a variety of beams so you can pick the right length for your dashboard. Download Owl app from App Store (iOS) or Google Play (Android). Watch installation video in the app. It will be helpful before installing Owl. Select the proper length beam to mount the camera on your dashboard. Make sure you place the camera in a position that doesn't distract the driver's view. Once you have the right beam, secure it where the dashboard meets your windshield. Insert the Owl OBD power adapter in your car's OBD port which is normally on the driver side underneath the steering wheel. Next, connect the magnetic power cable to the Owl OBD power adapter. It should fit nicely together due to the magnet. Using the supplied tuck tool, run the cable along the inside of the car to the top of the dashboard, along the windshield and up to the Owl Car cam which should be mounted on the extension beam. This is the hardest part of the installation. You want to make sure you tuck the cable inside the dashboard. I found it to be rather easy, but it took some time to find the right amount of cable to use without have any of it showing on the dashboard. Once the cable is setup, you can use the cable ties to tie together the excess cable and store underneath dashboard by the OBD port. After the cable is connected, turn on the camera. You will see a QR code appear. Using the Owl mobile app, it will ask you to point the camera at the QR code and then accept their terms and conditions for using their product. When accepted, you will need to follow the prompts in the Owl app to set up your Owl Car Cam and account. The overall setup process took just 15 minutes, only because we had to spent a bit of time tucking the cable behind our test car's dashboard. Is there a cost for storing videos? Before buying any security camera you should ask if there are charges associated with storing the video. Many manufacturers do have a fee for video storage — or at the least bake that cost into the camera's price. You get a year of free video storage with Owl, which includes unlimited video alerts and 60 minutes of instant video per month. After a year, Owl charges $99 per year or $10 a month, plus $5 a month for every hour over the allotted 60 minutes of video storage. GearBrain really enjoyed testing Owl Car Cam. At first, the camera was a bit distracting on the dashboard. The video played as a split screen, which took getting used to, especially at night. But the camera performed well, even when we ran into some problems. One evening, our driver side rearview mirror was side swiped by a moving car when our test car was parked outside a restaurant. Owl's app send us an instant alert, but we couldn't see anything in the video taken outside of the car. Inspecting the car, we saw the damage to the mirror, and decided to take a second look at the videos in the app. From the inside video, we could finally see a big SUV that came close to the driver's window, with the front outside view showing the car pulling away. We put one of Owl's features to the test — the ability to zoom into a video — to see if we could make out the license plate number. The video was too blurry. Next, we contacted Owl's 24/7 support through its mobile app to see if they could help us clean up the video, and capture the car's license plate. We downloaded the video, and sent it to them, but the video was too grainy. Nevertheless, we appreciated Owl's willingness to assist us in finding out the license plate number, and their level of customer service. Other features we really liked include two LEDs to help you see at night which light up and are very bright. These help the Owl Car Cam capture video clearly at night — plus it assures you'll never get into a dark car. Another nice feature is the camera's beacon light, which certainly anyone looking to break into your car and steal the camera sees as well. 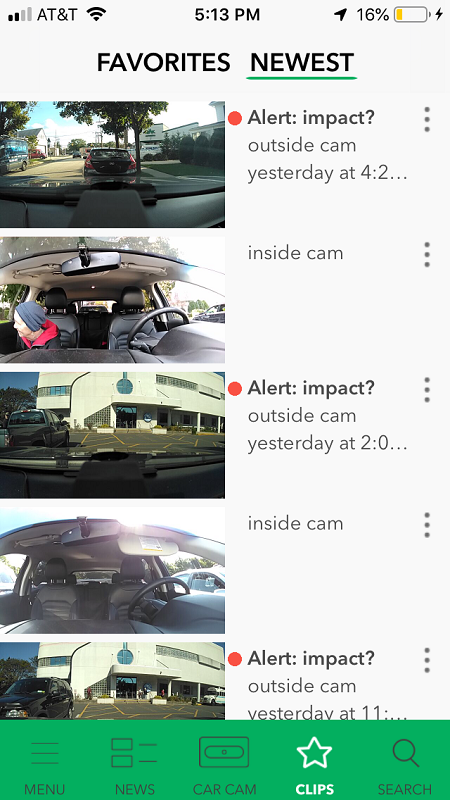 If a person does tries to break in to your car, you get video instantly of the event, and an alert to your device, which lets you see who is near your car. This is nice security feature. 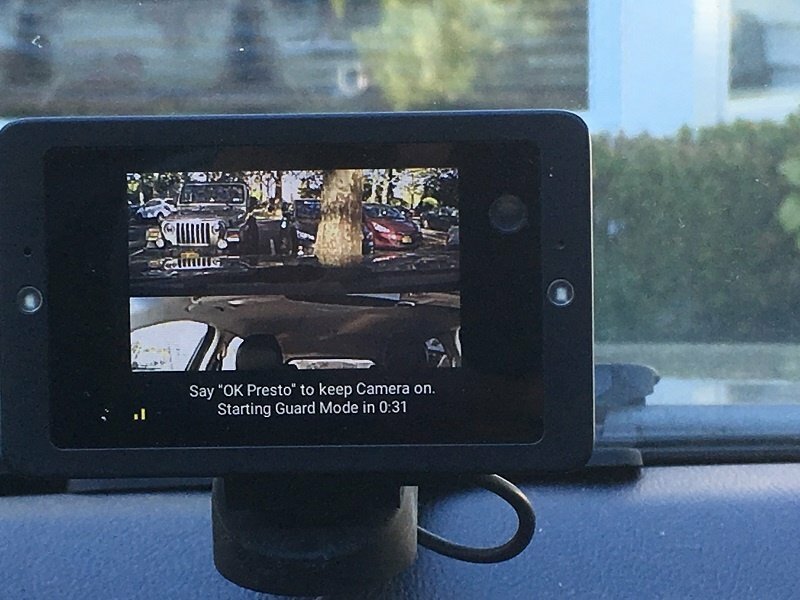 We particularly like the video surveillance that's happening when you're not in the car, as not many OBD2 or dashcams offer this level of service. Some send alerts if your car is stolen, or broken into, but few send alerts if your car is dinged or hit while parked — and have video of the incident. It's nice to open the app and see what happened — especially if a family member is with the car. GearBrain also likes the ability to talk to, and see, the person who is driving. Though the quality of the sound through the microphone could be improved, the picture quality is very good. Night vision, however, is not great inside the car. When we tried to see the person driving the car at night, we could not get as clear a picture as when the LEDs are working. This could be improved. 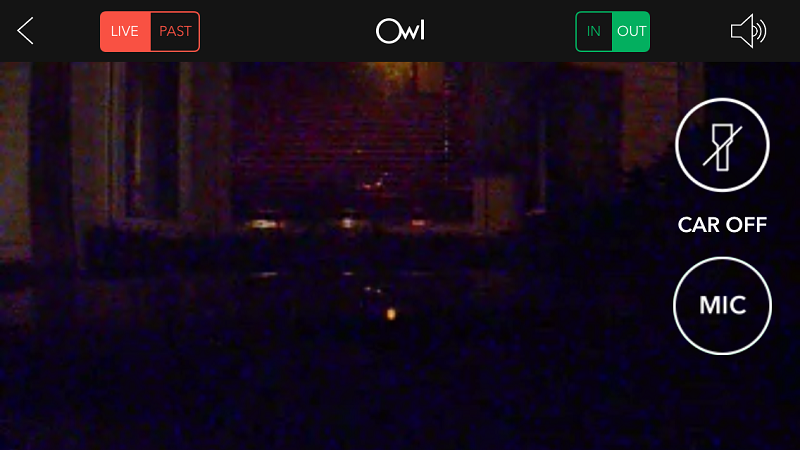 You can also control the Owl camera with your voice, and by swiping. If you want to turn off the inside camera, you swipe the camera. You can also say "Ok Presto" and Owl will start recording video. You can also name the video as it's recording — a very helpful tool to have if perhaps you got in the car, found someone in the back seat after you started driving. You can use your voice to start recording video, capture images of the unwanted guest, and say what's happening so it's captured on video. How much does Owl Car Cam Cost? Owl Car Cam is $349, which includes 12 months of free video storage (60 minutes) and instant alerts. 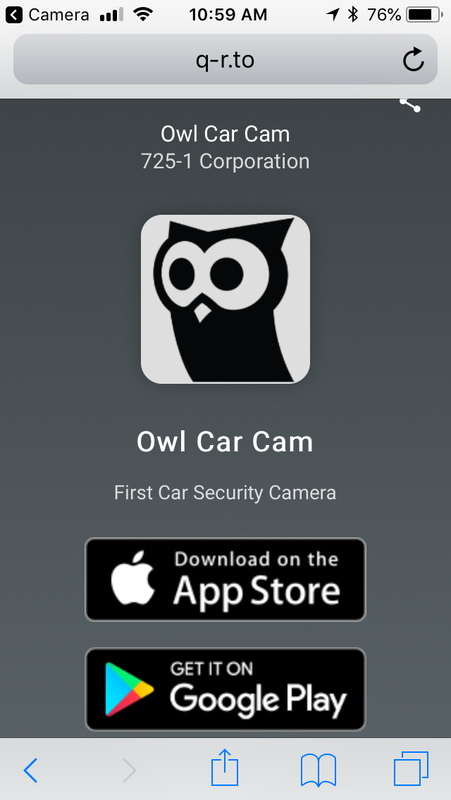 You can purchase Owl Car Cam on the company website. How does this cost match up to other OBD security devices? The only connected car device that we think is like Owl Car Cam is Raven. Raven costs $299, but requires a monthly plan of either $16 or $32 per month for video storage and monitoring. Raven, which we reviewed, is very similar to Owl Car Cam. Both connect to your OBD port for power, use HD cameras to record the inside and front view of your vehicle, and work on a 4G LTE signal. They also provide GPS service and charge a monthly service for video storage. However, Owl doesn't store video on a microSD card or provide diagnostic data on your car's engine like Raven. Owl's outside camera supports 1440p HD video resolution, while Raven only offers 1080p. And Owl's monthly video plan is cheaper than Raven's. Based on testing both devices, both are good security devices for the car, but we see Raven as more of an OBD device because of the data it collects on your car's engine. Owl is more like a dashcam with good security features — whether your car is moving or not. Owl Car Cam is a good connected car security device that keeps an eye on your car. It records events and sends alert when your car is either in an accident or just dinged in the parking lot. We like how you can communicate with the driver while they are in the car, and see them as well as how they're driving — peace of mind for parents of first-time drivers. We can also see Uber, Lyft plus taxi and limousine drivers using Owl to help protect them from unruly passengers. School buses too might benefit from Owl as well. We would like to see a few improvements such as better video recording at night. Unless the LED lights are on, or there is good lighting shining inside your vehicle, it's hard to see passengers in the car. We'd also like some vehicle diagnostics if possible. Since the camera is connected to your car's OBD port, it would be nice to get a warning due to a mechanical failure. Overall, if you want a device that's a good dashcam and gives you diagnostic data about your car like an OBD device, Owl Car Cam is probably not right for you. But keep in mind you will pay a lot for that data. Instead, if you want a connected car security device that combines a dashcam with 24/7 security monitoring of your car, Owl Car Cam is a good choice. Just make sure you are going to use the device on a car manufactured after 1996 and are willing to pay a monthly service after the first year.